Skiing the Alps was always on my bucket list. Now I gotta go back. If you’re an avid skier, you’ve either been to the Alps, or dreamt about going one day. 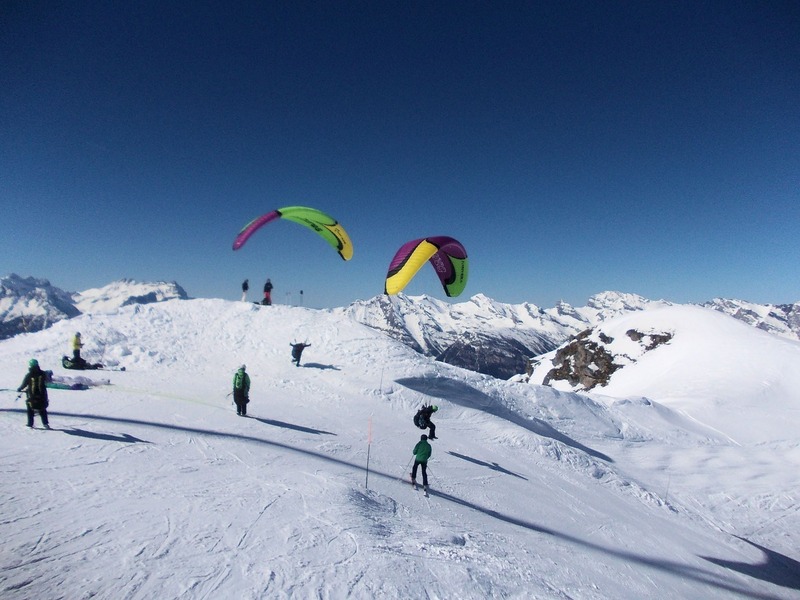 My dreams came true this past spring as I embarked on a ski adventure in Switzerland. One highlight: The village of Verbier in the southwestern region of Switzerland. Verbier is situated in the heart of the Alps in the “4 Vallées” ski area. A single lift pass takes you on over 410km of runs and 89 different lifts. The peak stands at 3,300m at the top of Mont-Fort glacier and offers breathtaking views. My typical day in Verbier started with taking in the beautiful sunshine and amazing mountain views from my patio at Hotel La Rontonde. After grabbing a quick breakfast and coffee, I was greeted by my ski instructor Yves and walked to the ski shop to get fitted for my gear. Thirty minutes later, we were on the gondola heading up the hill. “I will take you on a great warm-up run,” Yves informed me with a big smile on his face. I will never forget that first run of the day with the morning sun barely shining over the mountain peaks and the wide freshly groomed trails. The hard-packed snow was unlike anything I had ever skied on before — fast and true. Skiing from one side of the mountain to the other, Yves navigated us around the hill with guided precision, taking us to some of the most amazing “off-piste” spots not easily found on the map. Skiing down the Mont-Fort glacier was one of the highlights of the day. It was a difficult descent, but truly memorable. After a long day on the ski hill we headed into town for après-ski drinks. Verbier is world famous for after ski bars, where the atmosphere is eclectic with singing, dancing and unique traditions. If you don’t come for the skiing, come for the amazing scenery, cuisine, luxurious accommodations, nightlife and easygoing culture that Verbier has to offer. Put this one on your bucket list. "Paddle!" shouted my friend from across the water. "Paddle the hell out of there!"